Manchester United midfielder Michael Carrick will become the club’s assistant manager as of next season, manager Jose Mourinho has confirmed. The 36-year-old is hanging up his boots this summer and will make the transition into coaching, replacing Mourinho’s long-time assistant Rui Faria who has been linked with a move to Arsenal. Carrick joined United from Tottenham Hotspur in 2006 and has gone on to make more than 450 appearances in all competitions for the Red Devils. The ex-England international has spent this season on the periphery, making only five appearances across the board, as a heart condition kept him off the pitch. With his playing career coming to an end, Carrick was invited to work with Mourinho as a coach, but with Faria ending his 17-year partnership with the United boss to become a manager in his own right, the ex-midfielder will now be the next No.2. Mourinho said: “I am going to have assistant coaches, fitness coaches and a structure where we have specialists in different areas connected to performance. 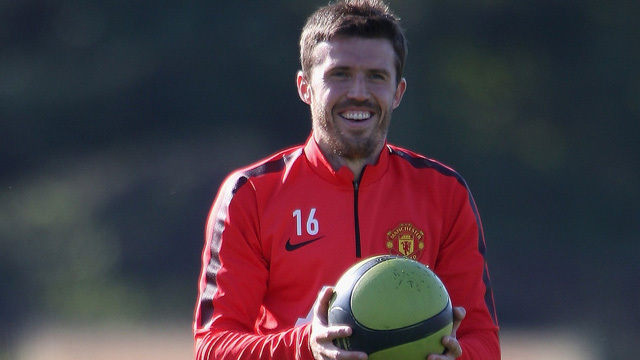 The particular reason is I think it will be Michael Carrick in the future — when he has his badges. Carrick was regarded as an intelligent midfielder with real tactical nous when he was still playing. He captained United on a number of occasions and has been rated highly by his peers and coaches. It’s a big call by Mourinho to have the Englishman as his No.2 but says a lot of how well he’s regarded.